The CIA receives some threat information about a man named “Khalid” and begins to examine data on everybody it knows whose first name is “Khalid”. 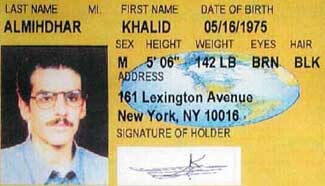 In an August 22 e-mail FBI agent Dina Corsi writes that this is one of the reasons for the interest in hijacker Khalid Almihdhar at this time: “the reason [the intelligence community] were looking at [Almihdhar] is relatively general—basically they were looking at all individuals using the name Khalid because of some threat information.” [US Department of Justice, 11/2004, pp. 285 ] The identity of the man named Khalid they are looking for is not revealed, however, there is threat reporting starting in June 2001 concerning someone an informant called Khalid, who is later revealed to be Khalid Shaikh Mohammed (see June 12, 2001). FBI agent Robert Fuller began looking for Nawaf Alhazmi and Khalid Almihdhar on September 4, 2001 (see September 4-5, 2001) . 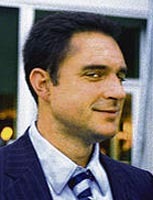 Within one day, he found that Almihdhar had not stayed at the New York City hotel he listed as a destination when he arrived in the US in July 2001. Alhazmi and Almihdhar had traveled to Los Angeles on January 15, 2000. Immigation records indicated that they claimed to be destined for a Sheraton hotel in Los Angeles. On this day, Fuller drafts an investigative lead for the Los Angeles FBI office, asking that office to search Sheraton hotel records concerning any stays by Almihdhar and Alhazmi in early 2000. However, the lead is not transmitted to Los Angeles until the next day, after the 9/11 attacks have begun. The search will also turn up nothing, since neither of them stayed at a Sheraton hotel. [US Congress, 9/18/2002; US Congress, 9/20/2002; US Department of Justice, 11/2004; New York Observer, 11/28/2004] Both men had been living in nearby San Diego for much of the previous two years. The San Diego FBI office is not notified about the need for a search until September 12, and even then, they are only provided with “sketchy” information. [Los Angeles Times, 9/16/2001] The FBI handling agent in San Diego is certain they could have been located quickly had they known where to look. The FBI agent running the San Diego office will claim they could have easily found the two hijackers by looking their names up in the phone book (see September 11, 2001). [US Congress, 7/24/2003 ] There is some evidence from eyewitnesses that a few days before 9/11, Almihdhar and two other hijackers are living in the same San Diego apartment that they had been living in off and on for the past two years, the address that was listed for them in the public phone book (see Early September 2001).